In part 4 our series of re-posts of the youth interviews from the WMF Youth Facebook page, we have an interview with Alena Dole�elov� from the Czech Republic, a silver medalist at the YEC in Askim. In case you missed the third in the series, you can catch it here. The following interview can also be found here. AD: My minigolf story began when I was around 4 years old. My parents had played minigolf before (they actually met each other because of it) so they took me with them while going on tournaments, because they did not want to leave me at granny�s all that time. That is probably it. Today, I am glad that they kept bringing me with them. AD: First two or three years of my minigolf career I had been using some no name club, but then my parents bought me a NIFO by Ryner and I am still using it today. As I am a small person I had to have it cut, so it is about 10 centimetres shorter than a normal one. I guess that I do not have a favourite ball, because my preferences are just changing by time. AD: In Czech Republic, we do have many miniature courses and only a few felt and concrete. So, I am playing like only twice a year on a different surface than miniature. Which means that I am always looking forward to play on felt or concrete. But I have to admit that I am not that good on those two surfaces, as I am not playing on them really often. To sum it all up, I would say that I do still prefer miniature, because I am familiar with it. I am able to have better results there, but felt and concrete are more fun to play. AD: Yes, I would say it was my Mom, because she and my Dad learnt me how to play. I guess it is understandable. My dad was more into the administration of our club and Mom was (and still is) one of the best women in Czech Republic. I still do have a lot to learn, just check the results from European Cup in Algundo. Incredible. AD: As I mentioned European Cup while answering the last question, I would probably continue and develop my answer. Well, I won some medals in individual category in the past and I am really really grateful for each and every one of them. But what means even more for me are those medals from team competitions. To be honest, I am so sad that Czech Republic do not have enough girls to make up a team. For the last few years I had to play alone on Youth Championships. Therefore, big thanks to the boys and coaches who made me feel like I was a part of a team. They were and are awesome. But what I wanted to say, that the merit, which I appreciate the most is our team golden medal from last year�s European Cup in Italy. I cannot explain it in words. Thanks to the whole team, it was just great and I am already looking forward to our next European Cup together. And also other tournaments, of course. AD: That�s a good question and a hard one. It is hard to choose only one memory, because I have many many beautiful memories from minigolf. I am incredibly grateful that I was allowed to be a part of our Youth and also Adult national team for last few years. I already mentioned one of my strongest memories in my last answer, but if we are talking about Youth Championships, I would say that the strongest moment came in Ostrava in 2015. It was not only about me, of course, it never is. It was about the team spirit, atmosphere, ambiance, emotions, passion and also about hard training. That was simply amazing. Under one of the best coaches in Czech Republic (Milan Lipmann), Czech players reached three golden medals � in boys� team competition and in both individual boys and girls. One of the greatest achievements in the history of Czech Youth minigolf. We made a great success there, both individual and as a team. It was great. As I mentioned earlier, I really have a lot amazing memories connected with minigolf and I am really thankful for them all. AD: Also, a good question. I would say that my answer came partly in previous answer. 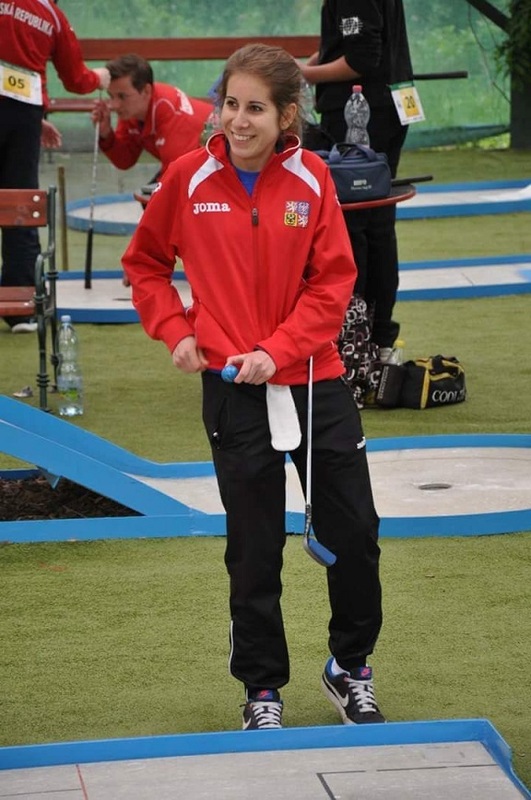 Many people are asking me these questions like �Do you still play minigolf? Isn�t it boring? What is so special about it, only hitting a ball with a club?� Well, in my opinion, �non-minigolfers� are not able to understand what is so special about minigolf properly. It is hard to explain. They have to try it and give it a chance. As I am playing minigolf for nearly 15 years and have been through many up and downs, I can�t imagine my life without it. It was, it is, a great part of my life. My teammates are just like a part of my family. Thanks to minigolf I have met a lot of friends, visited many countries, by the time improved my performance and also my English. Minigolf offers also a psychological growth, it is not just fun, �only hitting a ball with a club�, it is somehow developing your personality, as every sport does. Minigolf is a sport, a great sport, and it is a sport available for everyone. That is what I like about it. Many thanks for this opportunity to share my minigolfstory with the rest of the world.